Most of what is written about boats is naturally based on the orthodox view, and the man who wants a boat neither for class racing nor as a harbour ornament, but to go to sea in, gets little guidance from it. This book of mine is frankly unorthodox, in that I hold nothing sacred and take nothing for granted. So writes the (inter alia) intellectual, gun-runner, naval officer and circumnavigator Conor O’Brien, of his strongly opinionated yet vitally informative and practical book, published in 1941 and now re-published to meet ascendant interest in the sail-and-oar cruiser—particularly the small lugger. Bristling with ideas born mostly of hard-won experience, sometimes of pure conjecture, and studded with revelatory nuggets of sheer common sense concerning small boat construction, setup and handling, Sea-Boats, Oars and Sails merits its place on the bookshelf of every sail-and-oar practitioner or aspirant. This new edition is enhanced with inspiring new photographs, and design drawings, of the small lugger design ILUR by François Vivier—a design which embodies perfectly, in modern timber construction and materials, the qualities of sea-keeping, usability and safety advanced by Conor O’Brien in this book. The many full-page and double-page photos are of An Suire (The Sea-Nymph) built by Tim Cooke, and sailed by him in the waters of south-west Ireland which Conor O'Brien knew well. 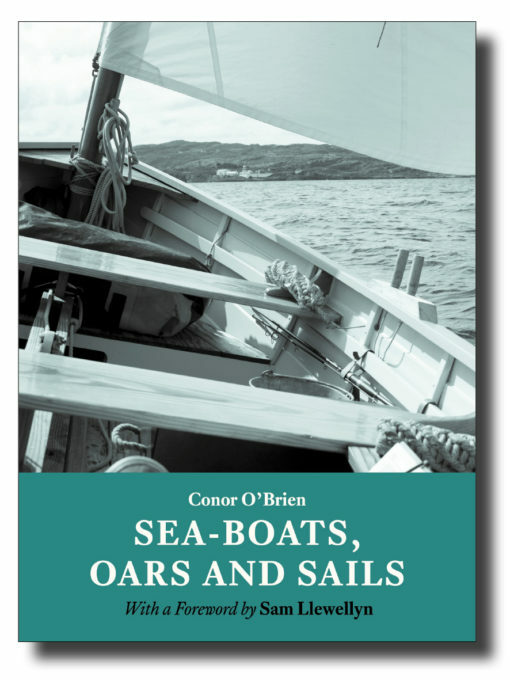 The endearing thing about Conor O’Brien (a man, come to think of it, who might not have been pleased to be called endearing) is that he is just as much a victim of his sea dreams as anyone who is likely to shell out for this book. ISBN 978-1-907206-17-7; 216 x 156mm, 176pp, inc. 15 pages of drawings & 18 photographs. Softcover with sewn binding, cover flaps and matt lamination.